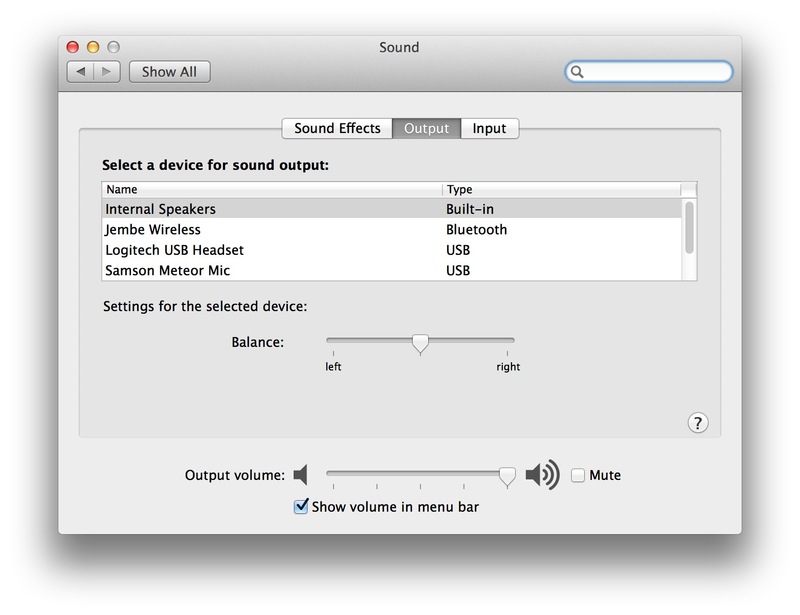 If you often find yourself using various audio devices on your Mac, whether it’s AirPlay speakers or a USB microphone, then it can be somewhat of a chore to keep opening System Preferences just to switch audio input and output sources. I often use a set of AirPlay or Bluetooth speakers when listening to music via my Mac but don’t always want to use them. If I’m making a FaceTime call or listening to a podcast then I might want to use a set of headphones or just the Mac’s built-in speakers and mic. Rather than visiting the Sound preference pane every time I want to pick the audio device I want to use, I hold down the Alt key and click on the Speaker icon in the menu bar. 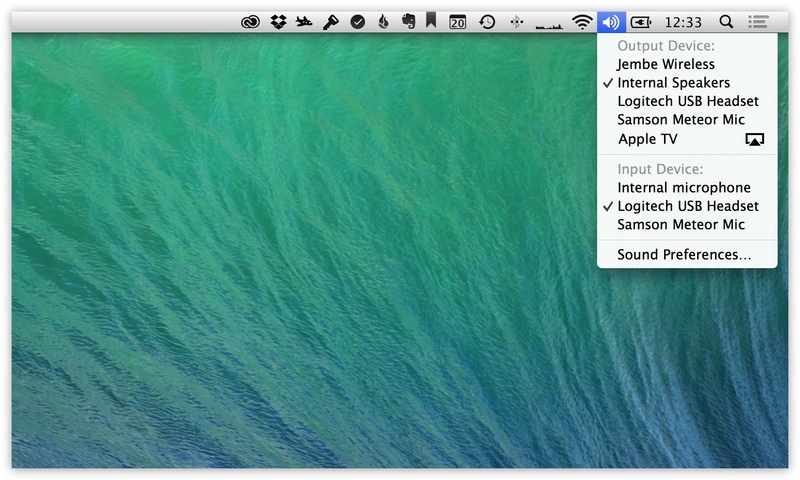 Instead of bringing up the volume control, OS X displays a list of all available input and output audio devices, including AirPlay devices available on the network.